This begins the final quarter of the preschool Bible study that I assist with on Wednesday evening. I created lessons for a year beginning with Creation and will end with Jesus returning to Heaven. I actually decided to rearrange the order that I post the lessons though! I posted the first quarter first, then decided to post the 13 lessons (there are at least 18 though ☺) about Jesus. When these lessons are posted, I will post the last two quarters of the Old Testament. The lesson is found in Luke 1:26-38 and 2:1-20. Mary and Joseph were very happy! God sent an angel named Gabriel to tell them they were going to have a baby. A very special baby! 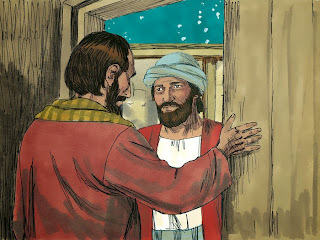 Mary and Joseph lived in a town called Nazareth. One day, the government told them they had to go to the town where their family was from. Everyone’s family had to be registered (counted) because the Roman government told them to. Joseph and Mary left Nazareth to travel to Bethlehem. When Joseph and Mary finally reached Bethlehem, they saw all the people. So many people had come to Bethlehem to be counted! Joseph and Mary went to the inn (a place to stay while they were in Bethlehem), but the inn was full. There wasn’t an empty room for them! 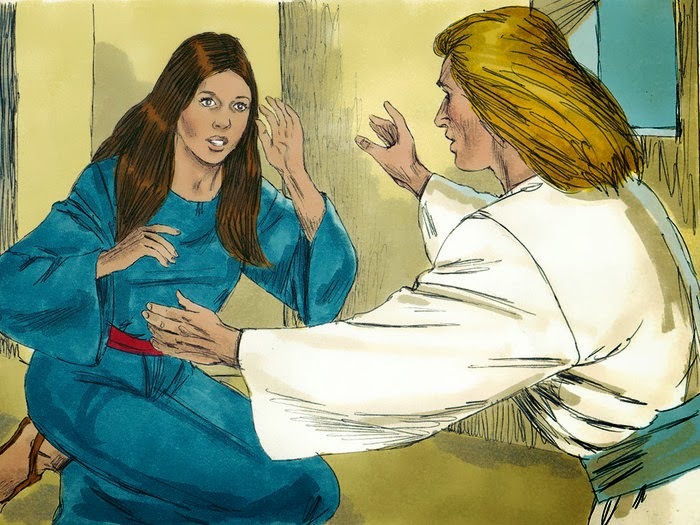 The only place for Joseph and Mary to stay was in the stable! (We don’t know who offered it) The stable is where the animals are kept. It was time for Mary’s special baby to be born! Mary wrapped Him in cloths and laid Him in a manger. A manger holds the food for the animals. Do you know Who that special baby is? 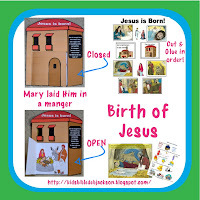 Jesus Mary and Joseph named the baby Jesus just like God told them to. Mary was so happy to have baby Jesus! During the night that Jesus was born, there were shepherds staying in the fields watching over their sheep. Suddenly, one of God’s angel appeared in the sky! The shepherds were afraid when they saw the angel! The angel told the shepherds not to be afraid. The angel came to tell them GOOD NEWS! The angel told the shepherds that there was a very special baby that had been born that day! He is the Savior! Then, a lot of angels came from Heaven, praising God! 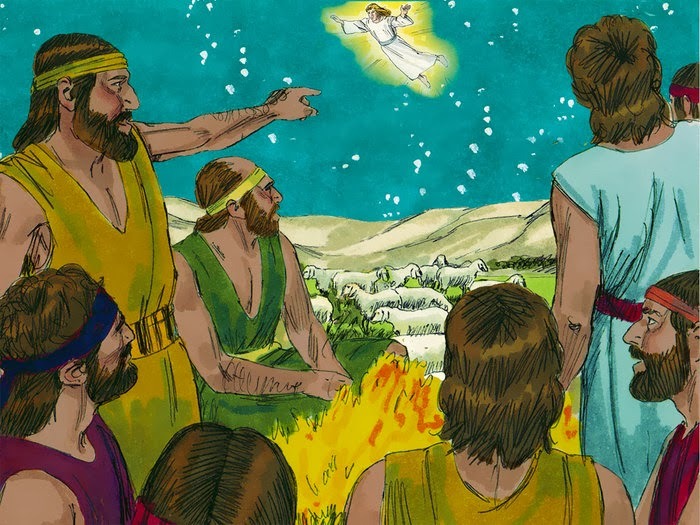 When the angels left and returned to Heaven, the shepherds left right away to go to Bethlehem! They couldn’t wait to see the Savior! 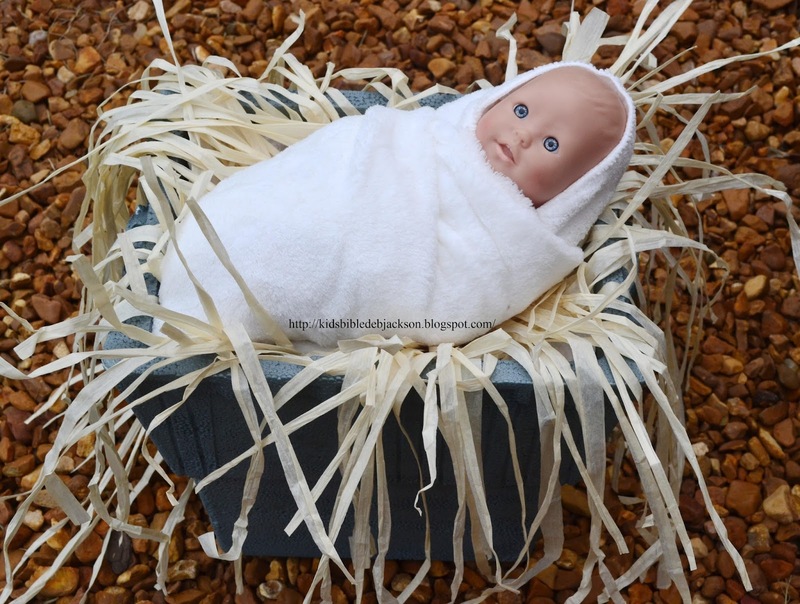 The angels had told them the special baby was wrapped in cloths and lying in a manger. 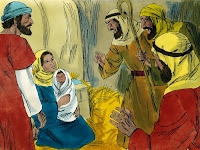 The shepherds found the special baby with Mary and Joseph in the stable. 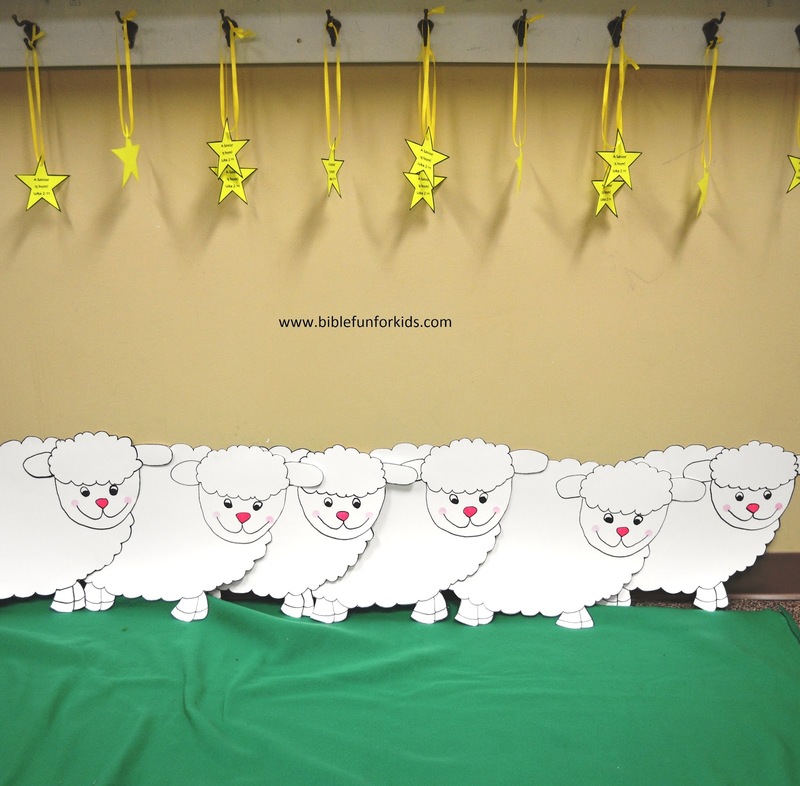 The shepherds were so excited to find Jesus! They told everyone that they had seen the special baby! The shepherds went back to their fields worshipping and praising God! They were so thankful to be able to see Jesus! There are so many ideas on this post to use with this lesson! There is a map, a newspaper and crafts. 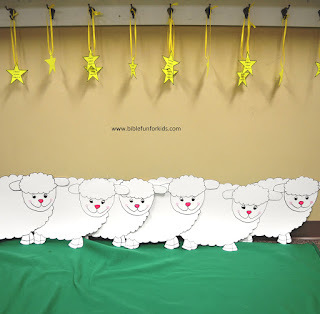 This was posted last week and includes what we did for the census, which really helped 3 year olds to understand (my second graders too), and what we did for the shepherds visiting. Click here for the early elementary post with ideas and printables.